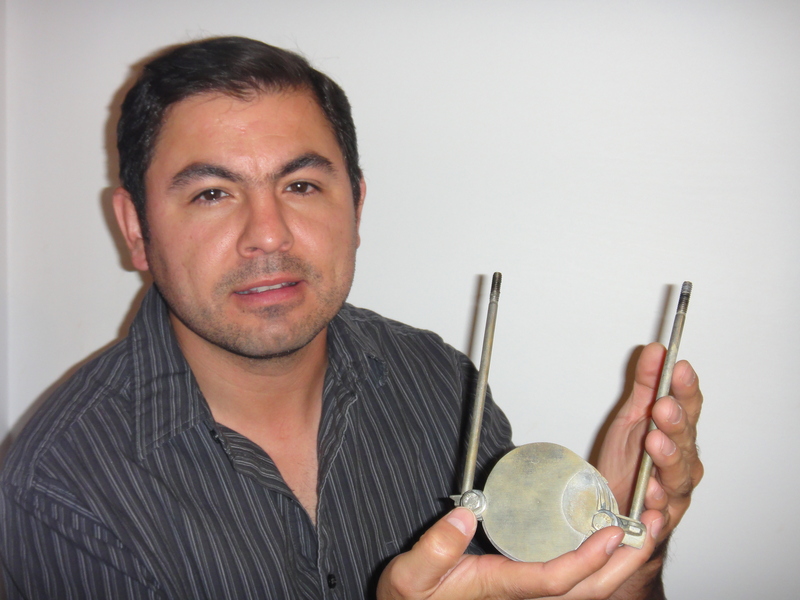 Dr. Gabriel Luna-Sandoval conducts research on urine-powered fuel cells (Credits: Gabriel Luna-Sandoval). Mexico’s space agency only began operations in 2011, but Mexicans have been researching space applications for much longer, including roots in astronomy that stretch back centuries and decades-old telecommunications initiatives. The newly formed Mexican Space Agency (AEM) seeks to leverage these roots while providing policy support for projects to benefit the institution and engage in collaboration with space agencies and researchers around the world. One such researcher is Professor Gabriel Luna‐Sandoval from Centro de Estudios Superiores del Estado de Sonora (CESUES) and Instituto Politécnico Nacional (IPN). Luna-Sandoval is researching the efficiency of urine in fuel cells for hydrogen and oxygen production that can be used in aboard a crewed spacecraft. The new Urine Fuel Cell or Celda de Combustible de Orina (CCO) is intended to transform the astronauts’ urine into hydrogen and oxygen, vital elements in a space mission. The hydrogen can be used as fuel in the main or auxiliary system in case of a contingency, while oxygen can be used for the life support system. Both gases can be stored as a reserve, enabling mission extension by providing additional fuel and oxygen supply. Also filtered urine would supply water. If this technology had been used as a spacesuit component on the Apollo 13 space mission, the crew would have been assured breathable oxygen produced from their own urine despite the failure of the main oxygen tank. Prototype of the CCO fuel cell (Credits: Gabriel Luna-Sandoval). Although NASA has used hydrogen fuel cells to generate electricity, they have never used cells for the application proposed in this research. The hydrogen produced by the CCO has been used and successfully tested to feed a combustion engine, proving that urine can be used as a gasoline replacement. CCO is currently being tested for durability under radiation exposure in preparation for its possible use in space as an emergency system. In the future, CCO may be used to feed the main oxygen and hydrogen system supply, providing continuous supply of two gases necessary for a successful mission. CCO separates hydrogen and oxygen from water and urea molecules contained in the urine through an electrolysis process, thereby obtaining greater amount of H2 and O2 than when using only water. Urine incorporates four hydrogen atoms per molecule, and they are less tightly bound than the hydrogen atoms in water molecules. Recent test results at Ohio University showed that a low voltage applied across the cell breaks down the molecule: while water requires 1.23V to be split, urine only needs 0.37V. The hydrogen released is exceptionally clean, non-toxic, and carbon-free, ready to be used as renewable energy. 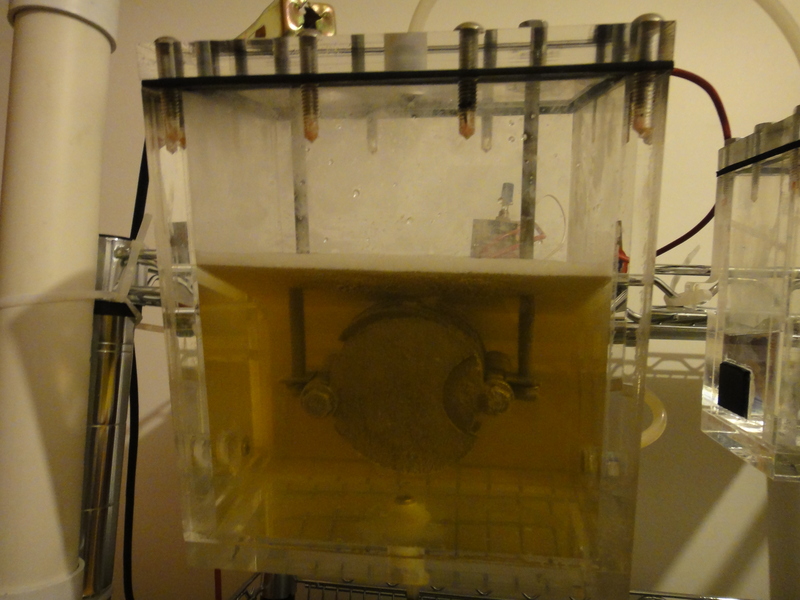 Recently, Luna-Sandoval found in CCO tests that if urine is passed through a specially designed filter that controls ammonia, the voltage required to break down the molecule drops to 0.365V. Research suggests that urine is a liquid with a very high potential energy, higher than gasoline, butane, and natural gases. Hydrogen from CCO has in fact 120,011 kJ/kg of caloric power, while gasoline, butane and natural gases have a caloric power below 46,000 kJ/kg. The CCO was introduced to AEM in 2011, under the first developments of the RED de Ciencia y Tecnología Espacial (REDCyTE) by Consejo Nacional de Ciencia y Tecnología (CONACyT). REDCyTE is a fundamental part of AEM, connecting Mexican researchers with international partners, working together to strengthen international collaboration, create new technological developments and perform research projects in support of the Mexican space program. Luna‐Sandoval, who specialized in green energy research, has produced and patented a prototype of the CCO. Gracias Carlos, seguimos trabajando en ello para mejorarlo. Gracias Magda! Siempre hay que dar todo en las investigaciones! Asi como al CESUES, de igual forma al IPN por todos sus apoyos! Héctor muchas gracias! Exito para tí! Congratulations for you work!! is amazing, extraordinary!! Thank you Brisna! Any kind of research is motivating! Profesor muchas felicidades un orgullo CESUES, nunca nos dios clases mas sin embargo entre a todos los talleres que insruyo durante las semanas de ingenieria, muy buen trabajo, un motivo y un ejemplo mio mas a seguir, la mente es lo unico que no tiene limites y usted lo esta demostrando, saludos…….!! Muchas gracias Jorge por todo lo que expresas! y tienes mucha razón sobre la mente! sigue adelante! Como Dr. es admirable, estupendo trabajo! Muchas Gracias! espero culminar pronto el doctorado! Congratulations for the work Profesor Luna-Sandoval! has there been any advancements in this technology? Will mexico be pursuing this in space applications? will they cooperate with the united states for space projects like this one in the future? I’m really curious as to what this technology’s potential is for third world countries where converting urine into water could save many in poverty. Yes, there are new developments in respect to aerospace applications, in the cell’s design was modified and we are testing with less expensive materials. Mexican Aerospace Agency (AEM) is now pursuing the development of low orbit satellites, this project is now supported by Sonora State University (UES, before CESUES) while AEM takes up these projects again. I am sure that both AEM and UES will cooperate with the United States for space projects now and in the future. I agree with you, this technology can be used for third world countries saving a lot of people from poverty and can be used for all the world as new energy technologies to help combat environmental pollution by fossil fuel use.